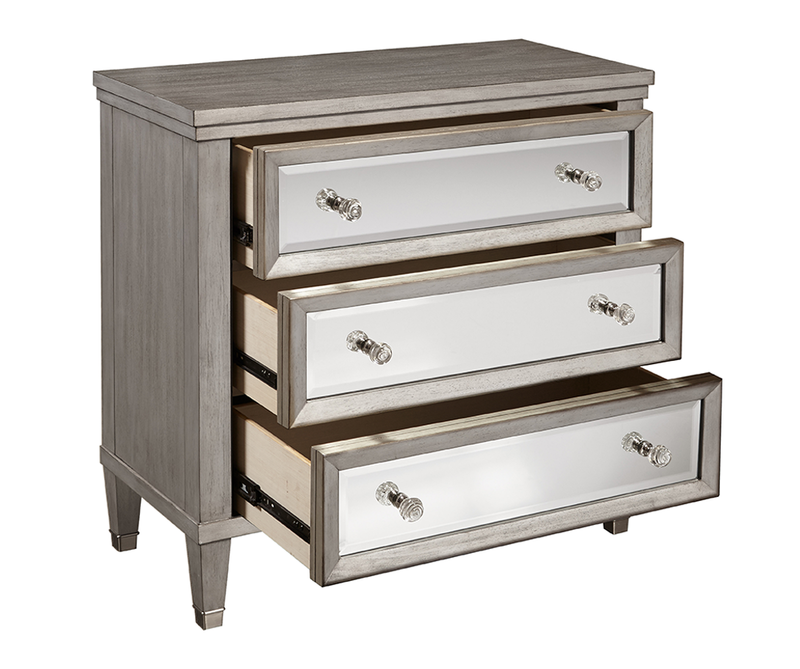 Contemporary styling with a hint of traditional design makes this eclectic Accent Chest a wonderful addition in any home. 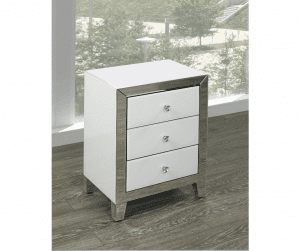 Three drawer chest, constructed of durable hardwood solids and manufactured wood. 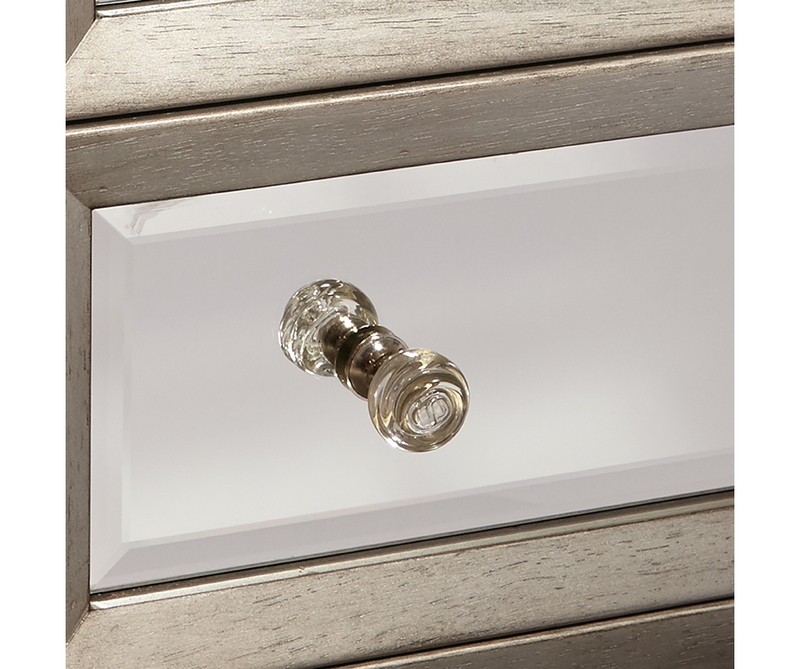 Custom-designed brushed nickel and acrylic drawer hardware and brushed nickel ferrules on legs. Drawers assembled using English and French dovetail techniques with full-extension ball bearing drawer guides. 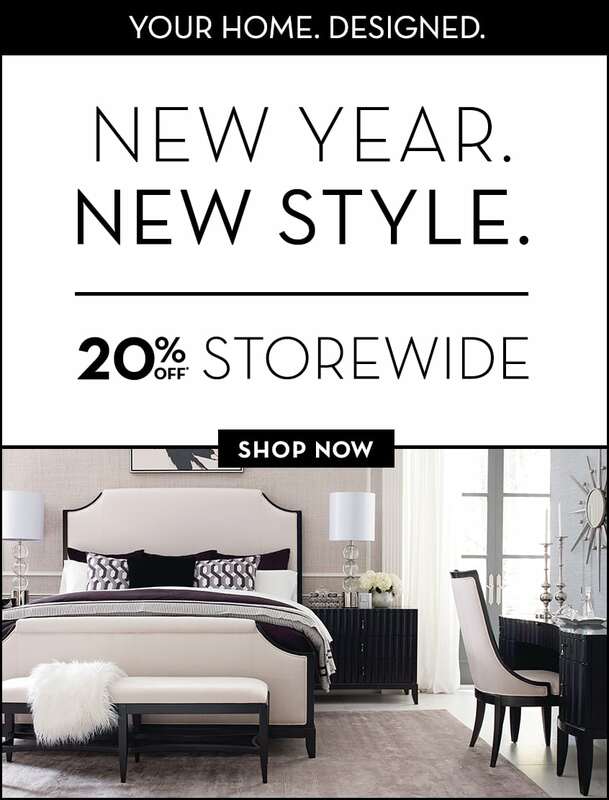 Home Accents, Accent Chests, ONLINE ONLY, SPECIAL BUY. 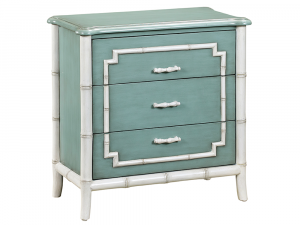 Inspired by nature, the tranquil design of this charming Accent Chest lends a calming ambiance to any room you desire. 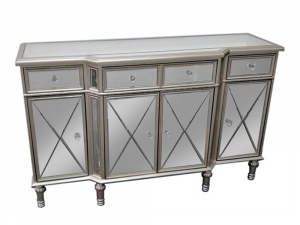 Regal and stylish, this shapely mirrored dresser will brighten your room, enhancing your established decor. 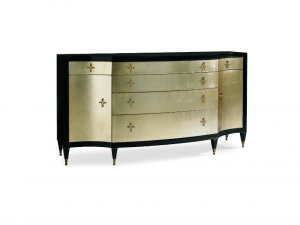 Featuring mirrored panels with sculpted wooden boarders and matching hardware. 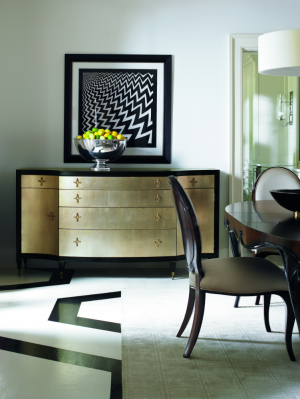 Champagne mirror & silver finish. 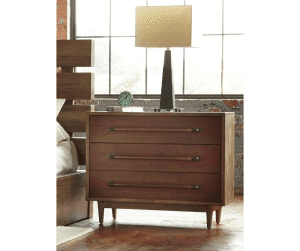 From loft apartments to suburban dwellings, this chest hones in on eclectic features that can reshape your home to a rustic yet refined sanctuary. 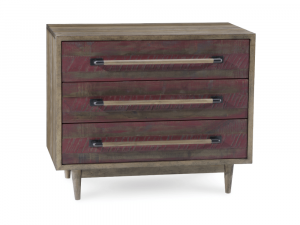 Featuring 3 spacious drawers, with distressed red accents over a light oak finish, the accent chest provides practical storage space while adding depth and elegance anywhere it is placed. 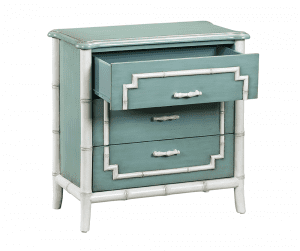 This adorable night stand is fashionable mix of chic style with a sleek attitude. 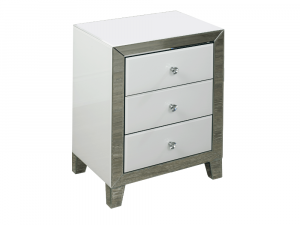 Crafted from select hardwoods, with 3 storage drawers, the piece emanates modern flair with its gorgeous finish combination; featuring a solid white frame and drawers, boarded by a mirrored front accented by clear hardware. 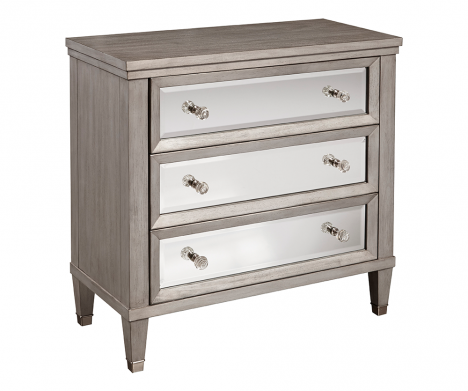 Small in size but big in style, this stunning night stand is a perfect addition to any bedroom small or large.